Leaves Warehouse in 1-2 days. 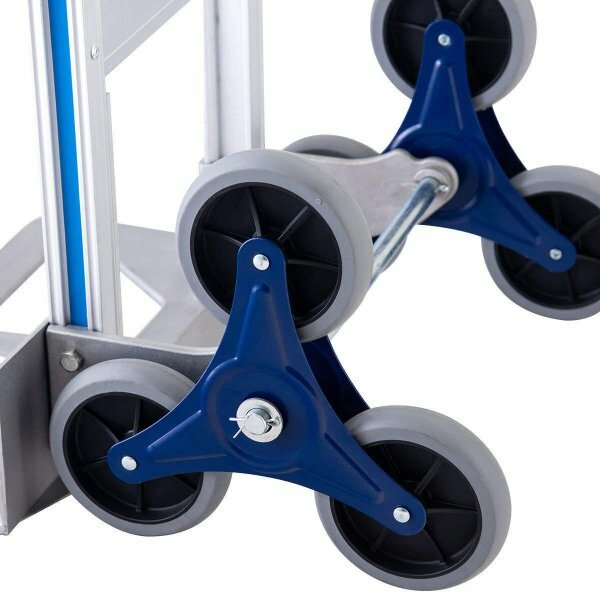 3-Wheel Design: This cart is equipped with 3 wheels, which is very convenient for you to transport objects over curbs, stairs and obstacles. This design also decrease pressure applied on supporting surfaces. It will make your job more efficient. 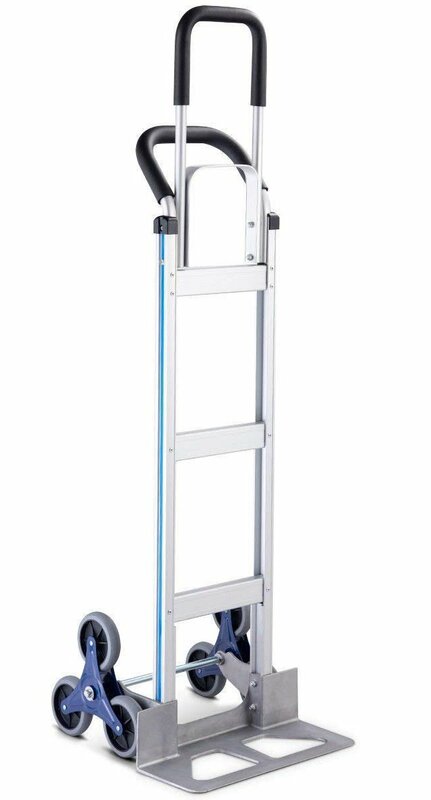 Aluminum Alloy: The aluminum alloy material makes the hand truck more durable and difficult to get rusty. It is can be used easily both indoors and outdoors by one person. Large Weight Capacity: The ergonomic design of the hand truck makes it ideal for moving heavy or oversized things at both home and at the workplace. 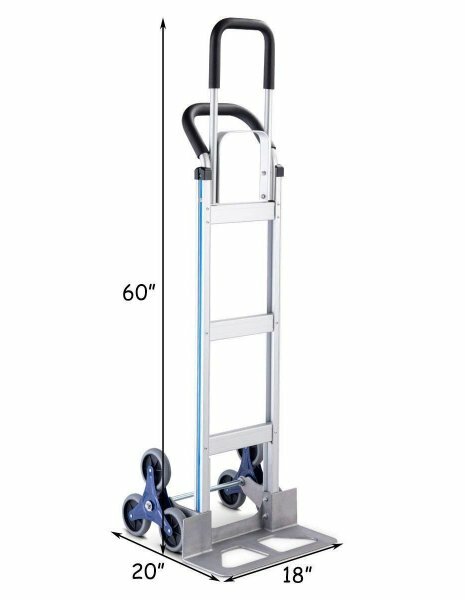 The largest weight capacity of the dolly is up to 551lbs. 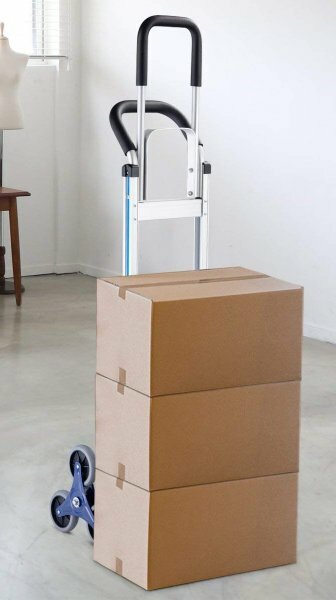 Really do a good help for your transport. 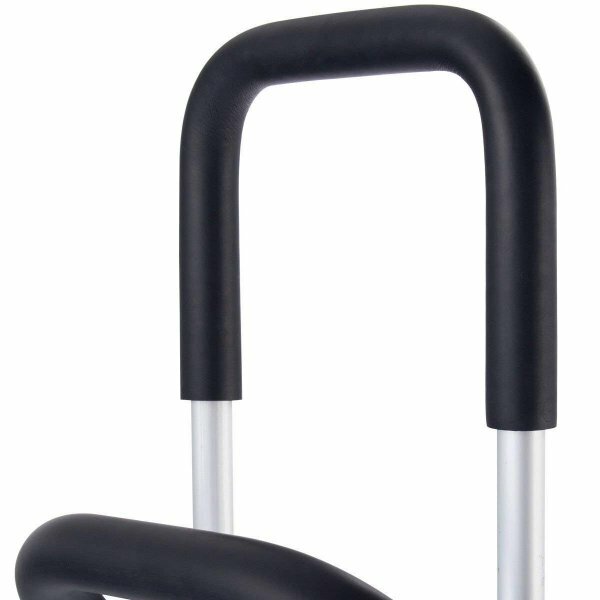 2 Non-Slip and Adjustable Handles: Equipped with the non-slip handle, it will be much safer when you transport. 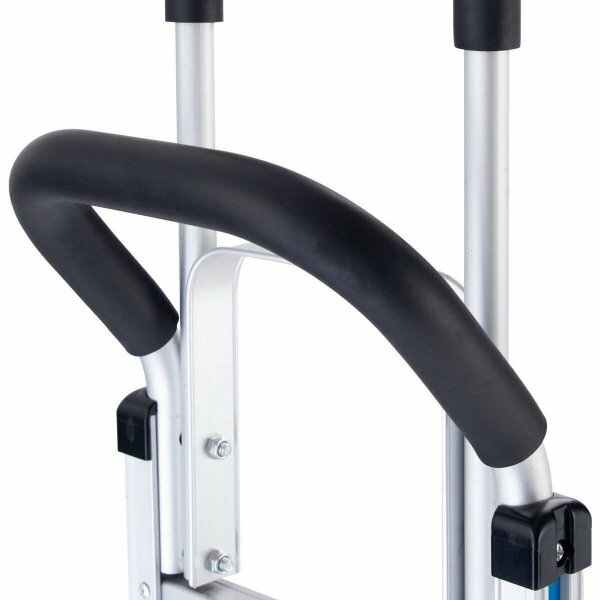 Adjustable handle allows you to select the optimum height for both stairs and level surfaces to basically meet your needs. 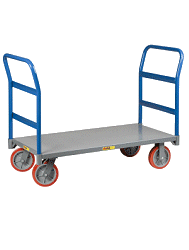 Easy to Assemble: All assembly hardware and parts are included. Clear and brief instruction make it much easier to put together. No professional tools needed, which will save much time and energy for you.